WHAT DRIVES HIM TO THESE REMOTE PLACES ? WHAT DOES HE FIND THERE ? AND WHY SUCH A SENSE OF URGENCY ? 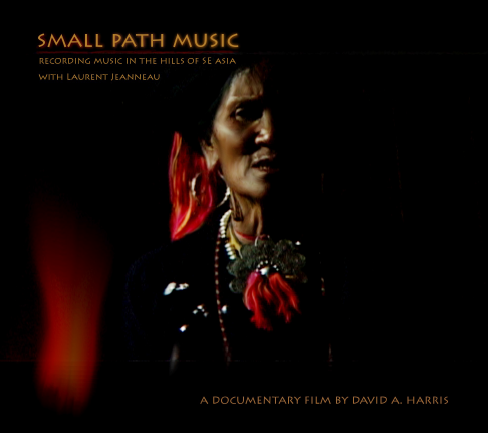 – A 56 MINUTE DOCUMENTARY FILMED IN LAOS AND YUNNAN, CHINA. life of the communities he visits. his perspective on the musical traditions of this area. recording label (Kink Gong) to release their feld recordings. In an area with such ethnic and cultural diversity there is still plenty of recording work to be done. cultural life which exists in this geographically diverse region. I was keen to experience more. his front door. He was looking to rent the lower level of his house so this worked out well. played me. My curiosity was piqued. so I embarked on documenting it. and talk to nature. This contact has enriched my view of the world we live in. opportunities also. What is necessary? And what are the possibilities? of the Public Kingdom (with chinese post-punk band P.K.14). mastering sound for feature documentaries (A Life in Shadows). He has recently just returned from shooting a travel show in South America (一路尚南Yilushangnan). bands P.K.14 (Tamen, Behind all Ruptures) and Carsick Cars (Mogu). selection of Kink Gong recordings are featured in Small Path Music. YANGXIAOSI (F) : WEDDING SONG – WA ETHNICITY, ONDING, YUNNAN, CHINA. THENE (F) : TOT FLUTE – DRINKING TUNE – KHMU ETHNICITY, MOUNG KHAU, LAOS. SISAMONG (F) : KHMU ETHNICITY, OUDOMXAI, LAOS. KHAENE (M) : KHENE REED PIPE INST. – KHMU ETHNICITY, MOUNG KHUA, LAOS. BOON LONG (M) : PEUN MEUG (TREM STYLE) – KHMU , MOUNG KHUA, LAOS. LI KUAN (M) & LI FENG XIN (F): RESPONSIVE SINGING – LALUO ETHNICITY, WUQICUN, YUNNAN, CHINA. GUO WEN BIAO (M) & MEI HUA (F) – LOVE SONG – LALUO ETHNICITY, WUQICUN, YUNNAN, CHINA. AI FENG (F) : IMPROVISED DAI DIAO – DAI ETHNICITY, GENGMA, YUNNAN, CHINA. SOMXAI VILLAGE COMMUNITY (PERMISSION TO FILM SHAMANIC RITUAL) – OUTAI, PHONGSALI, LAOS. KHAMMAN XAVAVONG – TRANSLATOR – MOUNG KHUA, LAOS. LE FAMILY – (PERMISSION TO RECORD DRINKING SONGS) – NA TAI VILLAGE, BOUN TAI, LAOS. BAI ETHNICITY FUNERAL MANTRA SINGERS – CAICUN, DALI, YUNNAN, CHINA. CULTURE SHOW PERFORMERS. – SHUANGJIANG, YUNNAN, CHINA. Music recordist : Laurent Jeanneau.